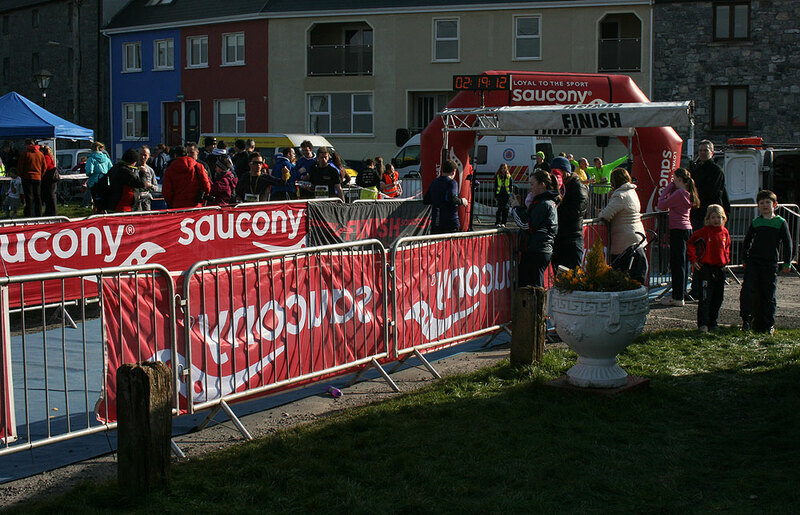 Every finisher in the race will receive an accurate finishing time. Everyone will have an electronic timing chip built into their race number that will be activated as soon as you cross the start and finish lines. You will receive two times – a gun time and a chip time. The gun time is the time that elapsed between the start of the race and when you crossed the finish line and the chip time is the time that elapsed between you crossing the start line and the finish line. They are different because unless you start at the very front of the field it is going to take you some time to cross the start line after the race officially starts.